Landscapes that strive to protect and conserve our water and other natural resources can receive the designation Central Valley Friendly. 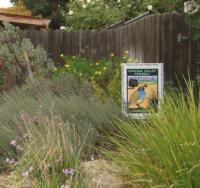 Central Valley Friendly gardeners can make a real difference in our community. Your garden will inspire others to use environmentally-friendly practices and protect and conserve the resources of the Central Valley region. Central Valley Friendly gardeners provide neighborhood models of what a Central Valley Friendly garden can offer – from an edible kitchen garden to native wildlife habitat to a Mediterranean retreat. Recognize landscapes that inspire the community to protect and conserve our water and other natural resources. 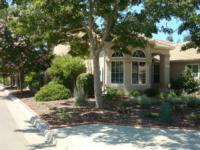 What makes a landscape Central Valley Friendly? 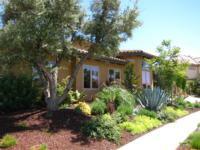 There are seven Landscape Principles and nine Required Practices that are utilized in a Central Valley Friendly landscape. This self-guided program will allow you to learn and adapt at your own pace. We suggest printing out the CV Friendly checklist to assess your current practices and to discover which part of your gardening practices you are most interested in changing. Use the website to learn more about your topic of interest and how to apply the principles to your garden. You could be on your way to creating an award-winning garden. The Central Valley Friendly Landscape Award program is currently available only to those living in the Fresno/Clovis Metropolitan Area, but the information on the website will be useful to any Central Valley gardeners with the desire to learn about changing their gardening practices to friendlier ones. We look forward to discovering gardeners who are striving to contribute to a healthier and more sustainable home, environment, and community. 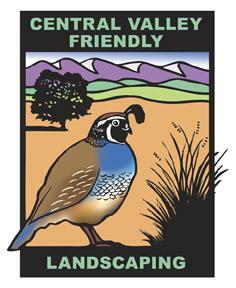 Marcy Ruona for her original artwork on the Central Valley Friendly Landscaping logo. Elizabeth Sereda for the website design.